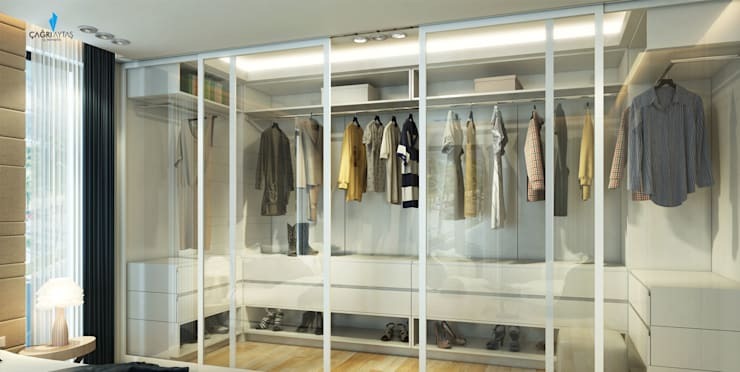 We all need a serious amount of storage, especially in our bedrooms, for all the clothes we accrue, but what about taking the time to select something really exceptional, in terms of a closet? Well, we are here today to show you a slew of truly spectacular wardrobe and closet designs which will have you getting your carpenter on the phone immediately, in a bid to build something special yourself! Whether you have a huge amount of room to use or a small corner to take advantage of, we've found some brilliant and beautiful projects to inspire you today, so let's take a look! 1. 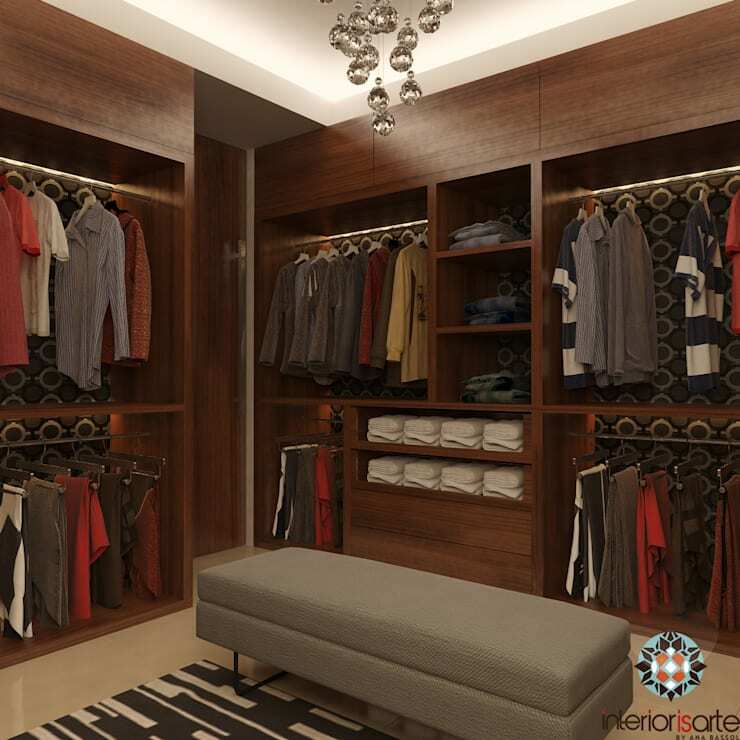 Wood is perfect for closets as the organic material shouldn't impact on your clothes. It also looks great en masse, which helps as well! 2. A little sacrifice of the main bedroom may have been needed here, but what a result! The sliding doors really help to hide it away! 3. Always on show but still tucked away, crystal clear doors have made this closet SO luxurious and impossible to ignore! 4. 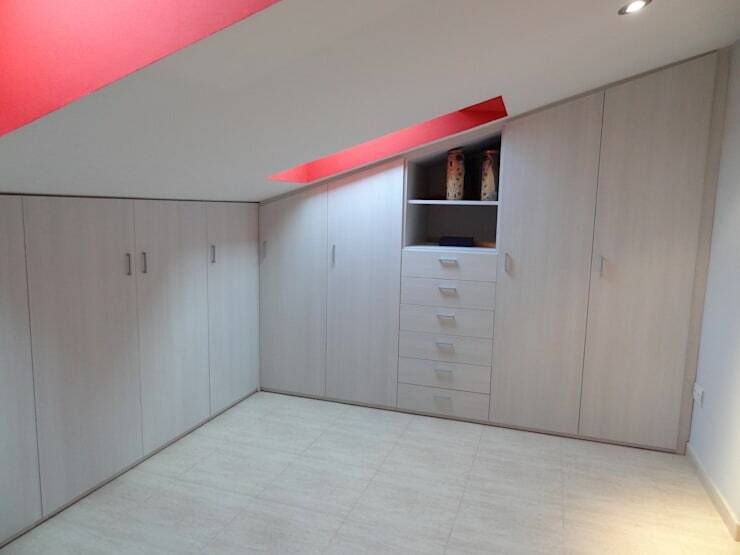 Even a small cupboard can be transformed into a lovely closet, with clever custom carpentry and tailored solutions. 5. 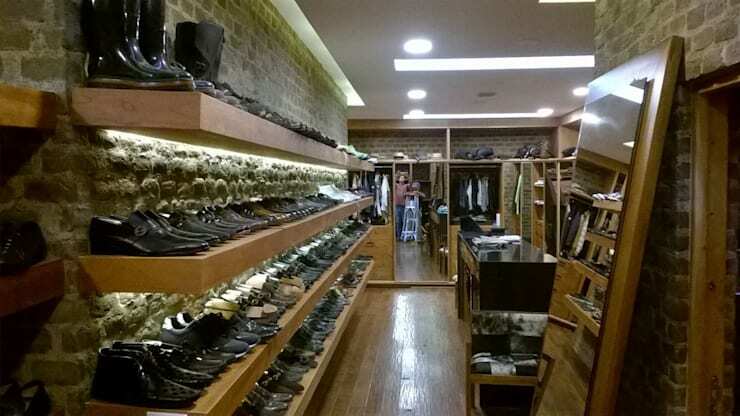 Is this the closet of a movie star? 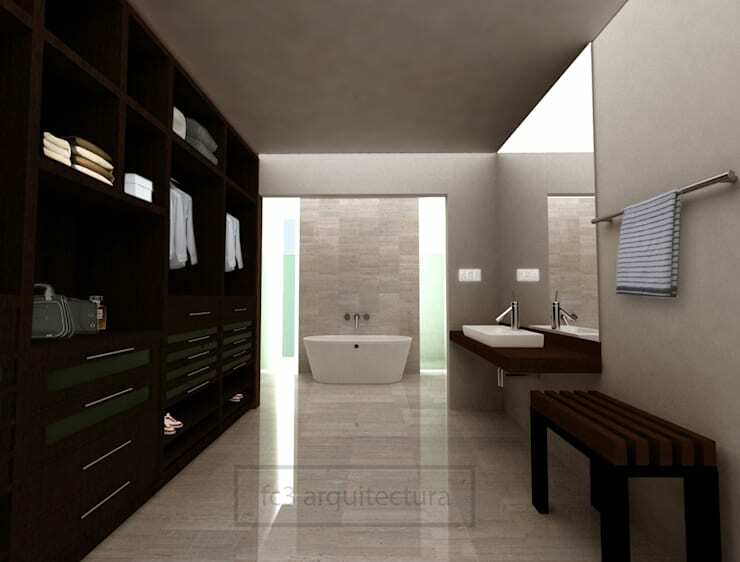 The individual shoe cubbies and mirror lights certainly have superstar appeal! 6. 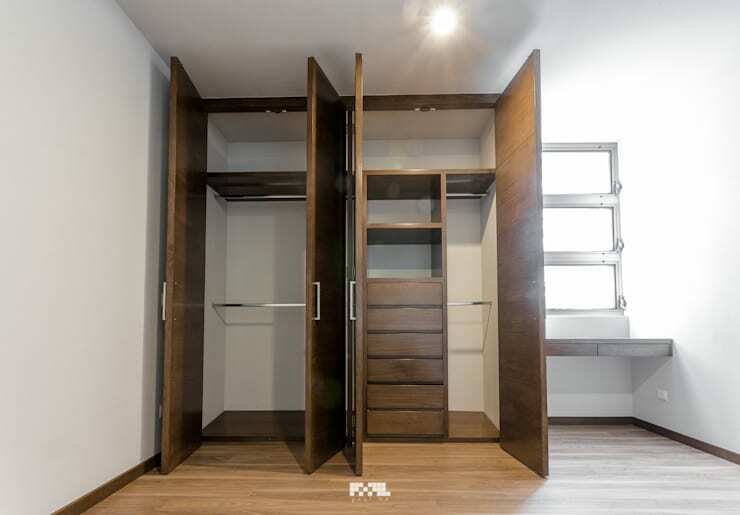 Tucked behind a half wall, this closet is fantastic as it has been perfectly designed to cater for every style of clothing! 7. 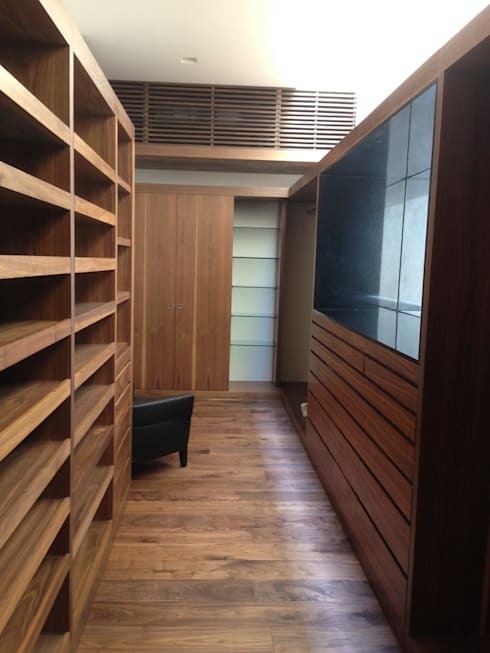 When only luxury will do, decadent hardwood closet carpentry is THE way to go! Just look at this beautifully bespoke room! 8. What do we love about this closet? The central island, put in place to safely stash accessories. Oh, and the lighting! 9. Don't have a whole room to spare for your closet? Simply put a corner to great use, like in this example! Such a clever use of dead space! 10. 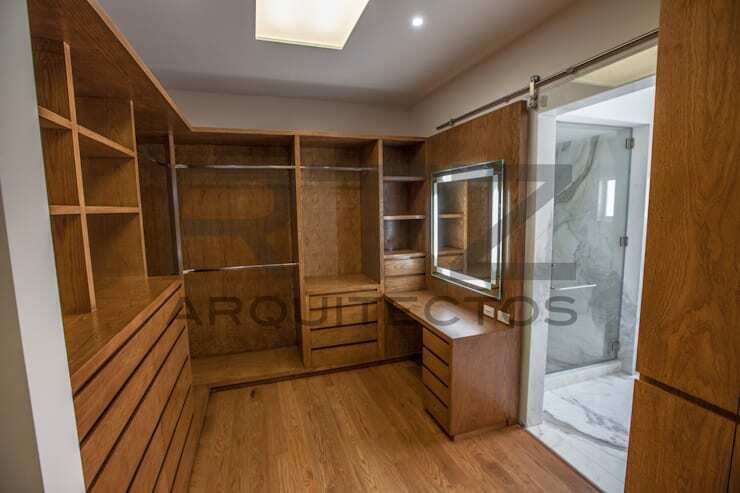 The headboard of the bed is also a false wall, which hides an amazing walk-in closet here! Look at all that space! 11. 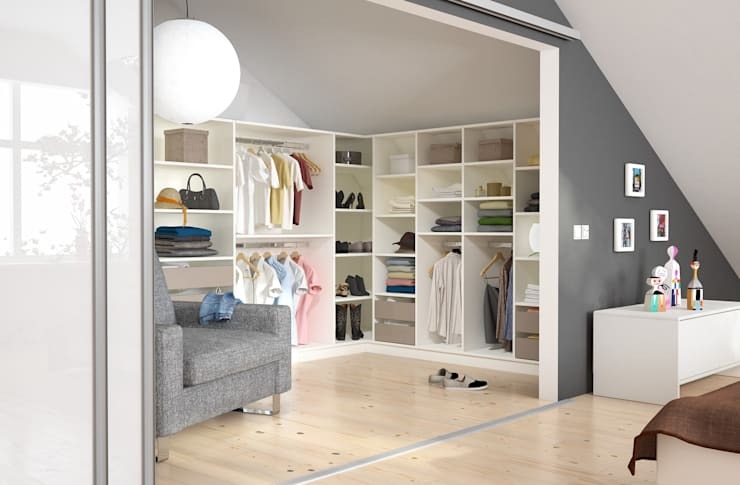 From the outside, these could look like standard wardrobes, but when open, the integrated extra storage systems really demonstrate their own genius! Wow! 12. 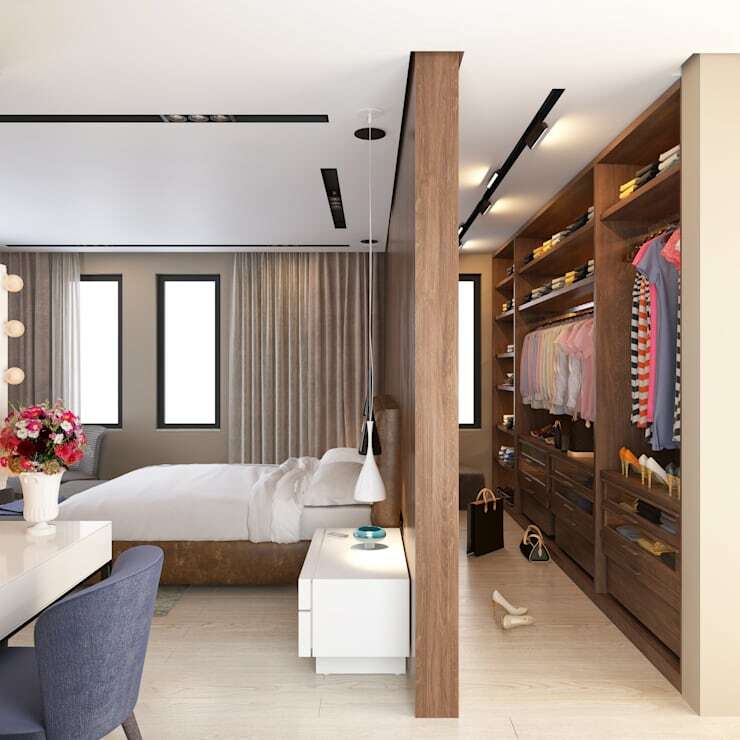 What could be more perfect than a master bedroom leading into a closet of this grandeur, which is also connected to an ensuite? The transitional planning is spectacular! 13. There's nothing wrong with prioritising what's important to you! If that happens to be bags and shoes, then this amazing closet might just be your perfect cup of tea! 14. 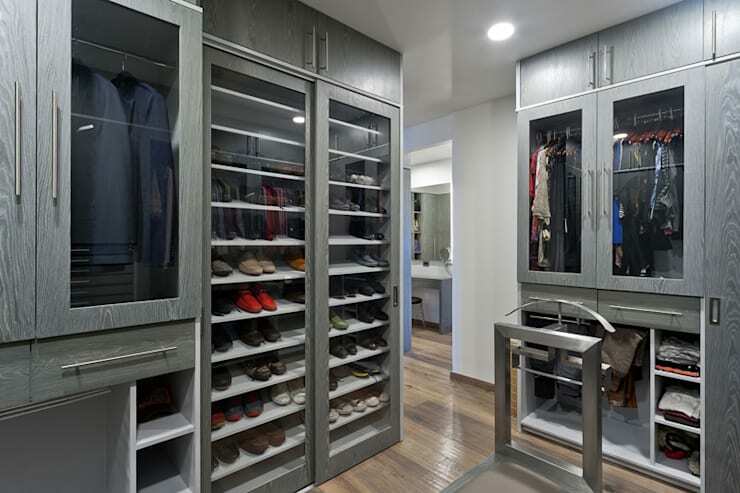 If you need your closet to integrate with other storage pieces, look to this beautiful built-in design for inspiration! The frosted glass hides all clothes away and looks so chic! 15. If you have a lot of space to play with, you can really let your imagination run wild. 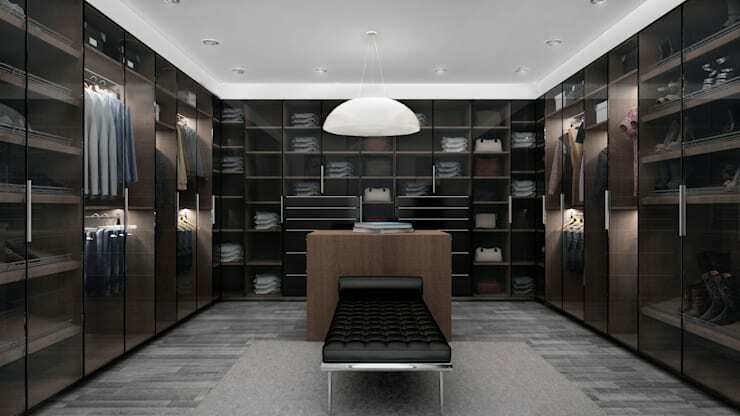 This might be the ultimate closet for us and it's certainly inspiring us to work a little harder! 16. What's that? You have a rustic home? Well then, this is all the inspiration you need! Look how wonderful the floating shoe shelves are against the exposed stone! 17. 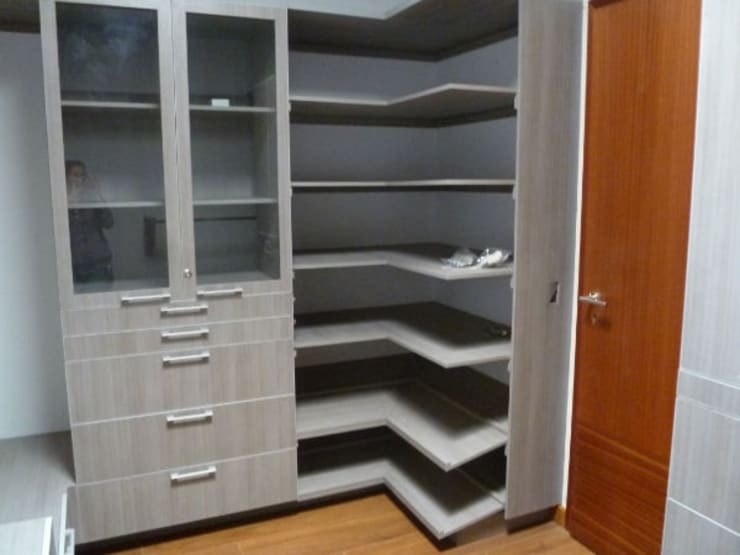 There's a level of order and coolness here that makes us think of this as the ultimate in bachelor closets. What a space for a professional with a lot of suits to house! 18. Nobody ever said that a closet couldn't also be a comfortable zone for relaxing and reflecting in. We're surprised we didn't think of it ourselves, as this chaise looks phenomenal. 19. Gorgeous! By connecting the bathroom and closet, you'd only ever be a step away from your perfect outfit! 20. A dressing table would be a wonderful addition to any closet, as we can see in this dazzling white offering! It makes such sense to keep all these functions together! 21. Finally! 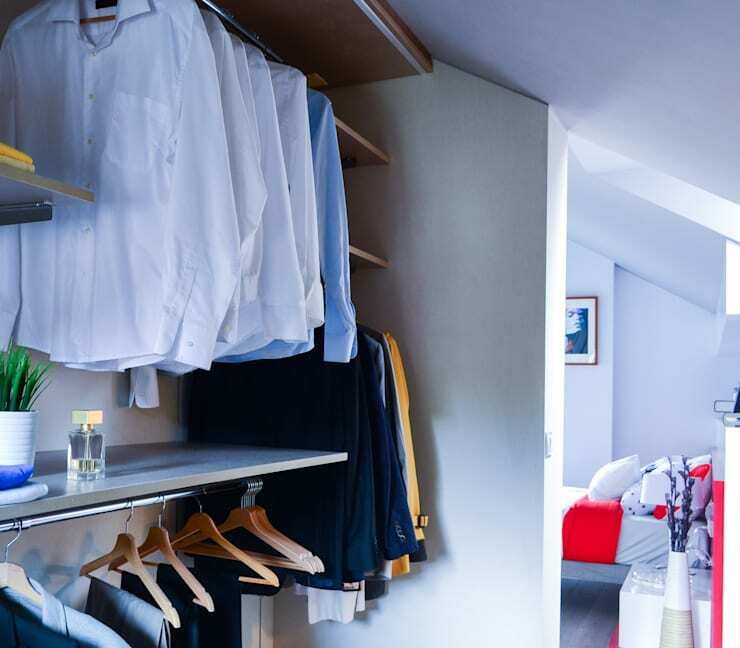 A REALLY good reason to commit to that loft conversion; so you can enjoy a closet as well-stocked with storage as this one! For a little more bedroom inspiration, take a look at this Ideabook: 9 smart bedroom storage ideas. Did you find your perfect closet here?